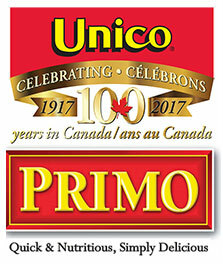 On Friday, November 17, 2017, the Italian Chamber of Commerce of Ontario (ICCO) and Unico Primo are celebrating the fifth edition of Pentola d’Oro Awards Gala. The event is a widely recognized annual Gala within the Italo-Canadian cultural and business community all over Ontario. This year the event will take place in a new outstanding location: Chateau Le Parc Event Centre, in Concord. The Awards are an opportunity for everyone involved in food and beverage manufacturing to come together and celebrate breakthroughs and advancements, network with other like-minded professionals and learn about what others are doing in this fantastic industry. This year, Pentola d’Oro will close CentItalia, a week-long food and education event for the promotion of authentic Italian products as mandated by the Italian Ministry of Economic Development.